Cruiser Safaris information: Frequently Asked Taxidermy Questions. Why should I use a taxidermist in Africa as apposed to one in the United States? I have heard of hunters losing their trophies and never seeing them again once they Leave South Africa. How can I avoid this tragedy? The only way to ensure proper handling and transport of your sport hunted trophies is to book your hunt with a reputable outfitter, professional hunter (PH) or Safari Company such as Cruiser Safaris. Lost trophies are only one of many pitfalls of inexperience or unscrupulous outfitters, professional hunters and safari companies. What may seem like a bargain hunt may end up costing you everything the hunt was worth and more. I am not sure of all the choices involved in mounting my port hunted trophies. Can you help? Yes, Highveld Taxidermy has been in the taxidermy business for over thirty years and we can make suggestions and provide you with photos via email of some of the more popular mounts. (See also Highveld Photo Gallery link above.) It is important for you to consider how you want to arrange your trophy room and to let us know. We can work with you to make it a success. Cruiser Safaris will arrange a visit to the Highveld studio in person on your day of departure. A visit will give you an opportunity to discuss the many options available and a first hand look of the variety of mounts that will make your decision easier. I am a taxidermist and I want to skin my trophies, is that allowed? Yes of course. Be sure to discuss this with Pieter upon your arrival and also your PH before your hunt. I took a beautiful Impala trophy (or other animal) but shot the cape to pieces, is there anything Highveld can do to fix that? I have heard that African taxidermists use inferior chemicals and processes, is that true? There is no truth to that statement. Highveld uses only the finest materials available in the industry. We produce museum quality mounts that will maintain their original beauty for several lifetimes. How do trophies get from the field to your studio? 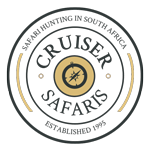 In order to ensure that all of your trophies are properly cared for from the field to the taxidermist, including those from your last day, Cruiser Safaris keeps all of your trophies separated and at our camp until they are picked up from there by a certified staff member from Highveld. How long will it take you to finish my trophies? The typical turn around time in our studio is 12 to 14 months depending on our shop loading and the trophies we receive. Full body Elephants, Rhino, Giraffe etc, will require more time. Estimates are provided when we receive the trophies. Does this mean that I will receive my trophies 12 to 14 months? Will my trophies be safe by sea freight? How are the trophies prepared for shipment? The trophies are carefully packed in specially designed crates to minimize the size and cost to you. After crating we contact our shipping company, Safari Cargo Systems Inc.(SCS), who collect the crate from our shop and make all of the necessary arrangements for transport to the United States. You will be notified when the shipment leaves our studios and will be provided with the contact at SCS to make arrangements for payment and choice of shipping method. How much will it cost to ship my trophies? The cost will depend on the size and weight of the crate and the destination. We Do all we can to minimize the size of the crate by carefully packing the trophies in the smallest space possible. The cost is calculated on the total weight of the crate or in most cases the total volume of the crate. The volume is typically the determining factor, since the shipping companies charge based on the amount of weight they could have transported in that space. You may see an equivalent weight charged, based on the volume. You can contact SCS for shipping costs. Once the trophies arrive in the United States, will they be sent to my home address? The shipment requires clearance by the US Fish and Game Department, US Customs, and the US Department of Agriculture. These inspections are arranged by your import broker and may take anywhere from 2 to 3 weeks depending on how busy the port of arrival is and the time of the year. After the inspections are completed and the shipment is released, you can make arrangements for home delivery or warehouse pickup as you desire. You mentioned an import broker, what is that and how do I get one? The import broker is a company that specializes in the receiving of shipments from foreign countries. (For example Highveld Taxidermy uses, Fauna and Flora in New York city as the import broker for shipments by sea. We have worked with F&F for many years and have a close working relationship and they are experienced in all matters relating to you getting our trophies.) We take care of all of the paper work and notify you when the trophies are ready to ship. SCS then works closely with you to coordinate the shipment and payment of transport fees. Unless you specify a particular import (customs) broker, one will be assigned to your shipment and you will be provided with a point of contact for the import broker. Once the shipment arrives at the destination port of entry, the import broker will contact you to make arrangements for payment and coordinating the necessary inspections and final delivery to your door. What if my uncle or a close friend is a taxidermist and in order to keep peace in the family I must have him do the taxidermy work? When un-mounted trophies are sent to the United States they still must go through a process here at Highveld in order to be allowed to ship. The "green" skins and skulls must be treated, often called "dipped" to ensure that there is no transfer of bacteria or other microscopic organisms that would be harmful if transported to another country. Highveld is authorized to perform all of the necessary treatments to safely ship green trophies to any destination. Once they are dipped and shipped they will pass through the same inspections coordinated by the import broker. The import broker will then ship the green trophies to a taxidermist or tanning facility that is certified to receive green trophies (in the case of the shipment containing restricted entry animals such as a Warthog or a Baboon) in the United States. There the trophies will be treated again and can be mounted there or sent to the taxidermist of your choice. If your trophies do not require this additional treatment, then they can be shipped directly to you or your taxidermist. How much does it cost to have my trophies done by Highveld Taxidermists? Contact Highveld by email at: info@highveldtaxidermists.com for a complete price listing. Initially we only require a 50% deposit at the time the trophies arrive in our studio. The final balance due will be requested as the work nears completion, typically one or two months before they ship. That means that you would have nearly a year to make the final payment. What form of payment does Highveld accept? Highveld accepts cash, credit cards (Visa or MasterCard), money orders and various forms of checks. Checks will not be credited to the account until they clear payment at the bank (typically one month). When making the final payment by check, the shipping date could be delayed due to bank processing times. If you know you will be paying by personal check let us know and we can prepare the final bill with sufficient time to prevent added delays.